It’s been a pleasure to find the time to actually make mince pies this year. It seems like life gets faster and faster and each day I wake up to a to-do list that keeps growing. This Christmas, I decided I was going to spend time enjoying the process of baking at least once. And these Festive Vegan Mince Pies are the result. I really love mince pies (by this point, it probably comes as a shock to no-one that I love food in general), and the ones that my mama makes in England are a resounding memory of Christmas from an early age for both me and my sister. Since deciding to stop eating gluten and sugar, I’ve found it difficult to recreate pastry, but I love the texture of this one! 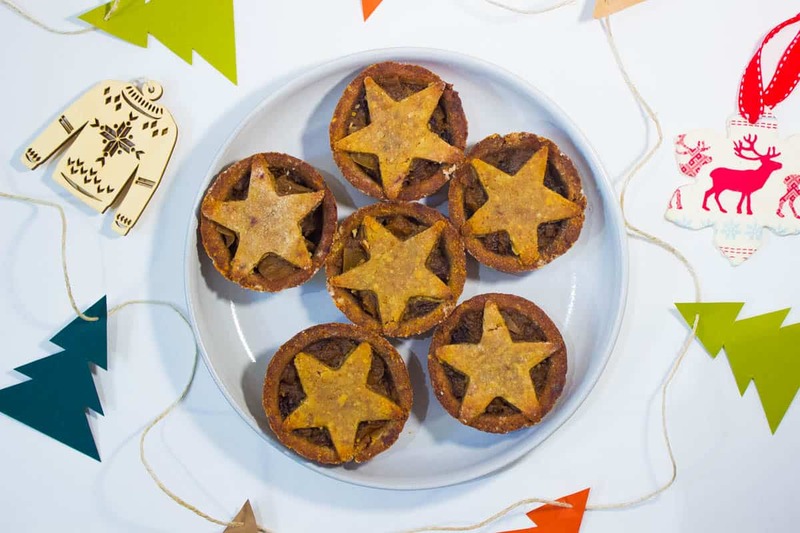 These Festive Vegan Mince Pies don’t taste like your standard English, shop-bought ones, but they do taste amazingly rich, use completely natural sweeteners and don’t have half the preservatives and sugar that normal ones would. Merry Christmas and Happy Holidays – may you find the time to do nothing but what you want over this festive period. Preheat the oven to 175°C. Lightly grease two 6-cup muffin tins with coconut oil and set aside. To make the filling, place all ingredients into a saucepan on medium-low heat. Stirring frequently, let the mixture bubble gently for 25-30 minutes until the apple is broken down. Set aside. For the pastry, add the almonds, rice flour, coconut oil, pureed dates and water to a food processor and blend until a smooth mixture forms. If you don’t have a food processor, I suggest thoroughly mixing all ingredients by hand in a large bowl until a dough forms (ensure that the dates are pureed before you do this). 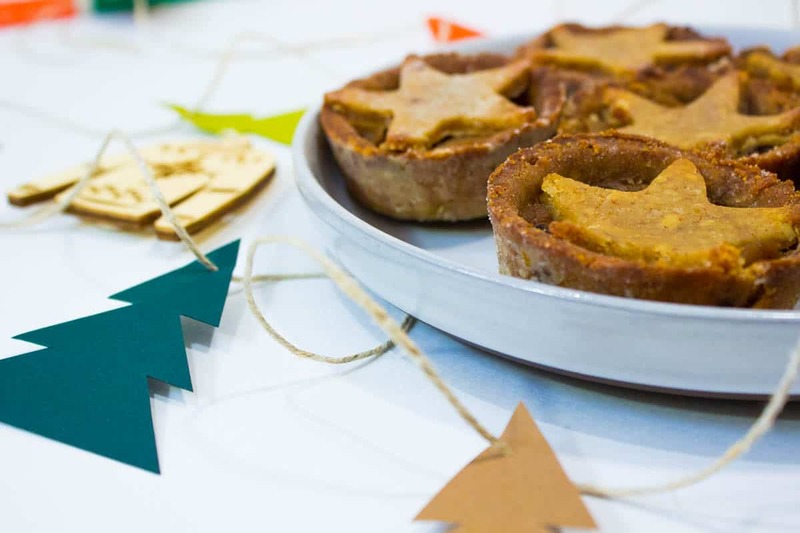 Spreading extra brown rice flour on the worktop, roll out the pastry until it’s about ½cm thick and use 9cm circular cookie cutters to create your 12 pie bases. 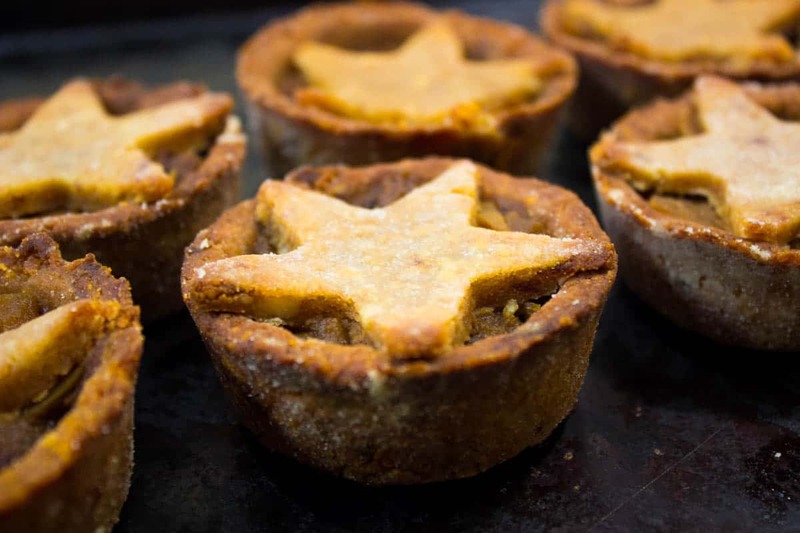 Use small star-shaped cutters to cut out an equal number of pastry stars (these will be the pie tops). Push the circular bases into the tins and bake for about 10 minutes, until they look firm and are starting to turn golden. Remove from the oven, fill each pastry base with 2 tbsp of the filling and top with a pastry star. Place back into the oven to bake for a further 15 minutes until the stars are golden and cooked. Remove from the oven, allow the pies to rest in the tins for 10 minutes, then remove them and place on a cooling rack for 30 minutes. Enjoy!